HAPPY VALENTINE’S DAY! Check out this local legend and the comments (in the original post) from Miller security guards for the rest of the story! The ghosts of two 19th century lovers haunt the famous Miller Caves, according to a Milwaukee Sentinel article from April 17th, 1955. Brewery workers have reported paranormal activity there since the late 1800s. To present a possible explanation for the haunting, the article tells a tragic, local love story too irresistible to pass up, especially on Valentine’s Day. 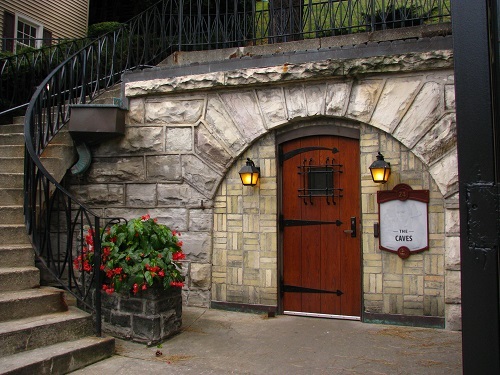 From the late 1880s until 1906 when modern refrigeration buildings replaced them, the staggering 600 feet of tunnels named the Miller Caves, were the main storage facilities for Miller Brewing Company. The chilly environs also became the scene of romance and tragedy during one hot summer. ~ by mkeghosts on February 14, 2014.